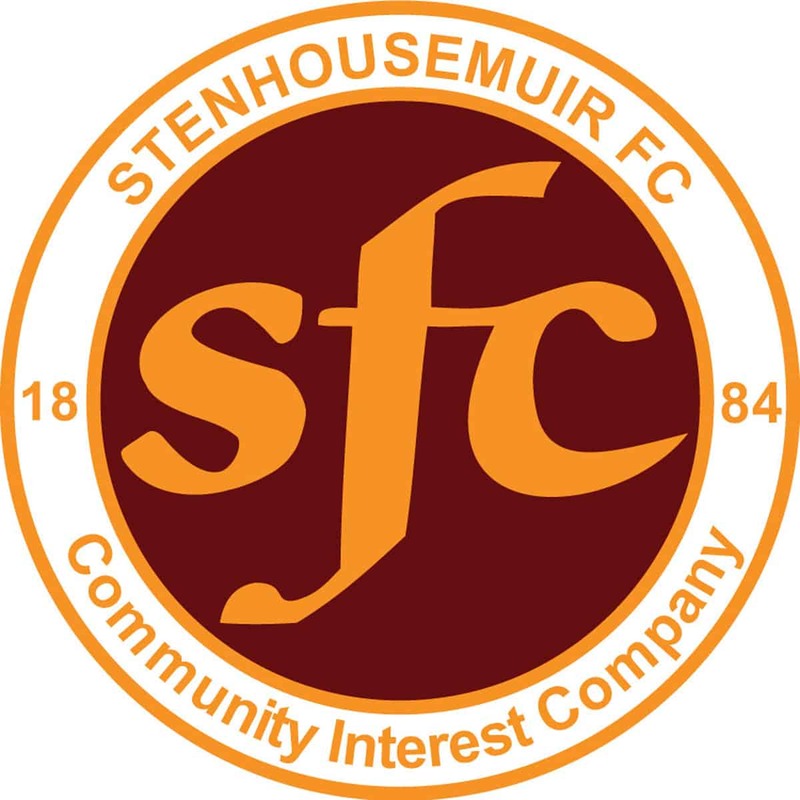 Stenhousemuir – Reidford, Ross, McKinlay, Buist, McMillan, Hodge, Ferguson [Smith 66][t], Rodgers [C.Anderson 80], Gemmell, Paton and Dickson. Subs not used – Thomson, Love and Shaw. In recent years this competition has in the main been a glorified under 19 competition apart from the odd exception [Dumbarton last season springs to mind], so it was unusual to see this match played by first team squads. Stenhousemuir are still finding their way under the new manager Martyn Corrigan and thus it was an ideal chance to play the first team before the national competitions start. The Shire also fielded their main squad with their youth team playing in the Luncarty tournament. The Shire had two trialists on the bench that were familiar to Stenhousemuir fans, Alex Connon was the goalkeeping coach and for this game was named as the back up keeper and Joe Savage who has effectively retired through injury but is currently learning the ropes to go into coaching. Stenhousemuir started promisingly and Andy Rodgers should have opened the scoring before the Shire took the lead in the 6th minute when a free kick was not properly and Kevin Turner pounced to fire home. The Warriors got back into the game in the 11th minute when a corner kick by Bryan Hodge was headed home by John Gemmell. Ex-Warrior Paul Quinn needed treatment after being flattened by Callum Reidford when the keeper came out to block a chip shot after Quinn had got behind the home defence. Stenhousemuir then proceeded to miss several chances before they took the lead in the 25th minute when John Gemmell laid off a header for Brown Ferguson to head home. If the Warriors supporters thought that the game was going to be comfortable after that they were to be proved wrong as Scott Maxwell equalised for the Shire when he took advantage of poor defending to latch on to the ball and round Reidford before scoring. A superb swivel and half volley by Andy Rodgers from 30 yards was well saved by Grant Hay before the Shire took the lead in stoppage time when Reidford was adjudged to have carried the ball out of the box. He then set the wall up poorly and was punished when Paul Quinn’s free kick took a slight deflection and went into the net. Stenhousemuir scored their third goal when Gemmell headed home a Bryan Hodge cross in 56 minutes. The striker had a chance for a hat trick when he was brought down by Craig Hume. The big striker however failed to convert the opportunity. Though Stenhousemuir were creating decent chances they were unable to convert them until the 73rd minute when at last they took the lead through trialist Darren Smith who headed home a Greg Ross cross. Although the Warriors stayed on top whilst there was only a one goal margin there was a chance that the fighting Shire would get back into the game but eventually the referee blew the whistle to bring proceedings to an end with Stenhousemuir victorious.